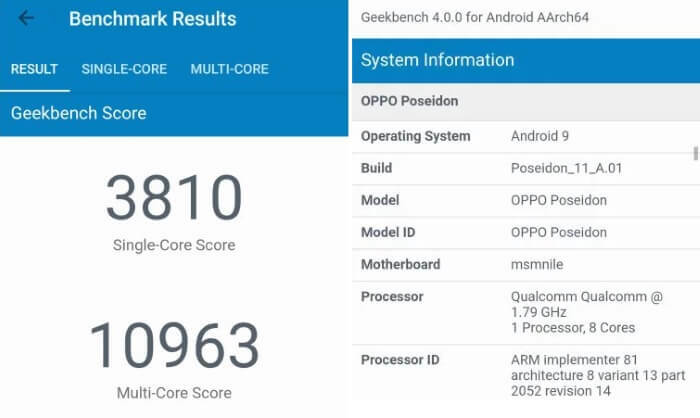 Oppo Poseidon Leaks, spotted on Geekbench. From the last couple of years, Oppo has launched its best flagship phones, with very effective pricing, better performance and high-end phones with stunning graphics. Phones like Oppo Find X, Oppo R17 Pro, Oppo F9 Pro, Oppo A7, and much more. All phones compete with other brands Nokia, Samsung, OnePlus, Apple, Google, etc. Now the upcoming phone of Oppo codenamed “Poseidon” will be a 5G Phone. 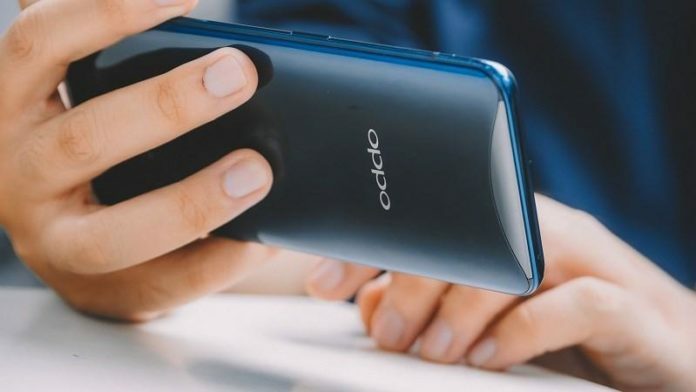 Oppo is upgrading its phone with new features like 5G, Qualcomm Snapdragon 855, Android 9, Sliding Screen, etc. 1 About Qualcomm Snapdragon 855. 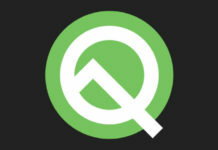 It was spotted on Geekbench scores 3810 in Single-core and 10963 in Multi-core. Oppo Poseidon packs with SD 855 with 5G compatibility which means it will be a 5G phone. Oppo Poseidon will be running on Android Pie. Therefore, the successor to Qualcomm’s current-gen flagship is Snapdragon 845 SoC, the SD 855 supports 5G connectivity. Oppo Poseidon will likely have wireless charging which will be very good. Because Oppo Poseidon features SD 855 supports 5G compatibility, AI(Artificial Intelligence), XR(immersive extended reality). The graphics performance is 20% better than 845 and 45% faster than Snapdragon 845. “It is specially designed for AI and XR” as Qualcomm said. NOTE: Oppo has not confirmed the model name yet it could be another series of Find X. Thus, Oppo Poseidon is only the codename. That’s all for today. Stat Tuned To TechBurner For More News. Previous article5G-E network in Smartphones : 5G finally here? Next articleWill ISRO beat SpaceX to this triumph in Space Science?